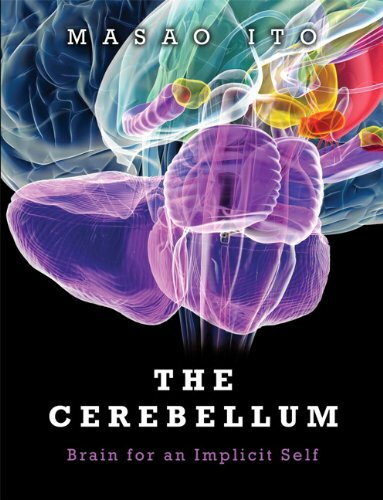 In The Cerebellum, leading neuroscientist Masao Ito draws on current research to advance a detailed new view of the cerebellum’s multiple roles in brain function. The cerebellum’s role in coordinating body movement control and facilitating motor skills learning has long been recognized. Ito presents new insights into how it accomplishes these tasks. He explains how the cerebellum assembles numerous neuronal machine modules, each providing implicit learning capabilities—and how these modules enable humans to unconsciously learn motor skills through practice by forming internal models that simulate the control system properties of body parts. Ito shows how the cerebellum also serves higher brain functions, including implicit components of thought and cognitive processes that manipulate knowledge. In particular, he discusses evidence of the cerebellum’s role in complex mental actions—such as intuition, imagination, hallucination, and delusion—and in supporting the implicit self. Ito’s insights will be valuable to a wide audience of neuroscientific investigators and might also be applicable in artificial intelligence, control engineering, robotics, and related fields.